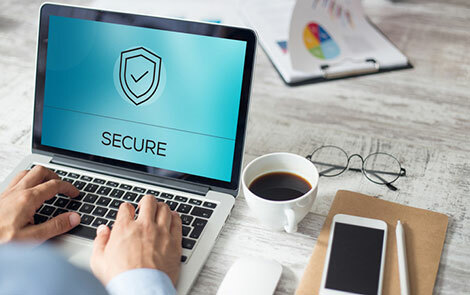 The increased use of online banking and financial services and the surge of identity theft have prompted Federal regulators to mandate security enhancements for internet-based financial services for all financial institutions. We want to keep your information safe and secure, so these security enhancements continue to be a top priority for us. These changes are designed to validate authorized users for your account and thus help provide even greater security for your financial information. For Internet-based financial products and services, single-factor authentication - such as User ID and Password provided at login - may be insufficient as the only validation for identity. Therefore, we will begin asking for additional information to be used intermittently when you log on to your account. In keeping with the Federal regulator’s mandate, we will request additional information which will be stored in IBC Bank Online for future use in helping to confirm your identity. Beginning soon, after you log in to IBC Bank Online using your usual User ID and Password, you will be greeted with a new security page. This page will prompt you to select and provide answers to several security questions. The information collected may be used as a second level of identification during the IBC Bank Online login process at any time. What do I do if I forget the answers I selected? Will my joint owner need to select answers as well? Only one set of answers is allowed for each User ID. Customers who have answered security questions will also need to ensure that they provide the information to all of the users they have authorized to access the account through IBC Bank Online. Whom do I contact if I have further questions regarding the security questions?